The Adventist Health System’s major expansion at LaGrange Hospital presented many challenges to the Block Electric company’s electrical design and construction team. 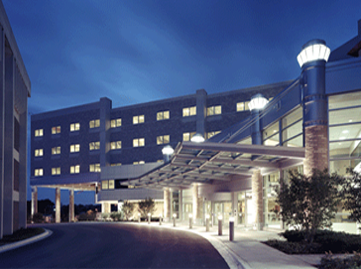 In order to build the new hospital, major infrastructure improvements and relocations had to be accomplished. Initial construction of a new central plant was critical so that the existing hospital facility remained functioning without interruption. Block Electric worked to assure a smooth transition from the old power systems to a modern centralized power plant. Also inside the 228,000 square foot building is a patient education center, classrooms, auditorium, and gift shop. The Adventist LaGrange Memorial Hospital was one of the first hospital facilities to offer wireless internet access. Finally, the existing buildings received an electrical infrastructure upgrade. New life safety, critical, and emergency systems were installed to upgrade the all facilities to the latest safety codes.